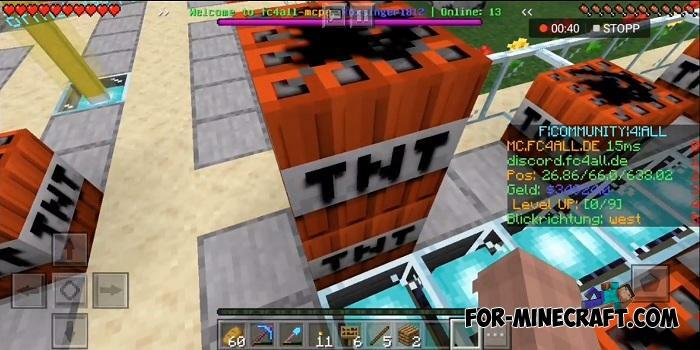 Virtually every second Minecraft BE server is a boring farm world with no animals, caves or lava. How about this: real survival filled with all biomes, animals, monsters and caves as well as other things found in solo mode. Are you interested in this? But that's not all ... 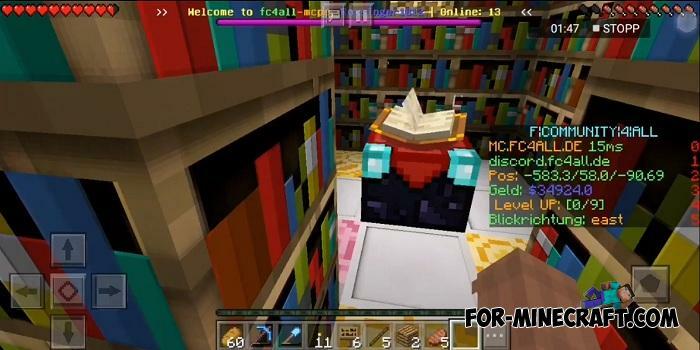 Working enchantment tables and anvils! 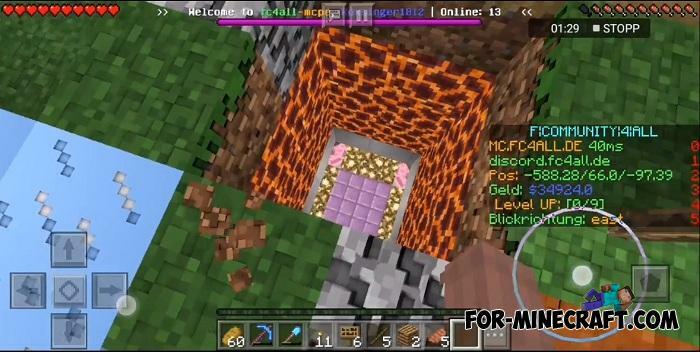 Oh, don't forget about redstone, mob spawners, lucky blocks and some mini-games. This have not happened before. Regular events and a good community are waiting for you. FC4ALL has a bunch of features from shops to achievements and custom worlds. Hey, the server is in German but everything is quite simple and intuitive, even for beginners. 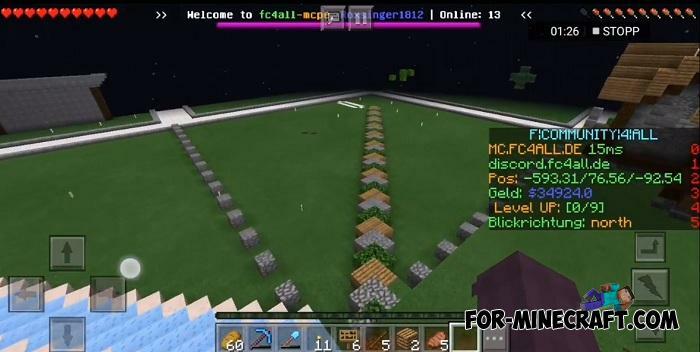 WFA MaTech IC mod pack [Achievements Update] for Minecraft PEThis is a chic mod pack consisting of 21 modifications: their purpose is completely different from simple magic and small portals to other dimensions to real giants such as IC2..
More Lucky Blocks mod (Minecraft PE 1.1.4+)Lucky block is a special box with a surprise inside, you just need to break it to get useful things or unhappiness..